Reading isn’t simply a mechanical process that we do to reach the end of a book. Good readers interact with texts using comprehension strategies. Why do we read? We need to be explicit about this with children when they are learning to read. We read to be taken on adventures; to find out information, to understand different points of view. Above all, we read for enjoyment. This knowledge is fundamental to the learning to read process and as stated, it often needs to be explicitly taught. To start, it’s a simple as engaging your child in a conversation by asking asking “Why do we read?”. We then need to help our child learn different strategies that will allow them to understand stories, find information and most of all: love reading. These are called comprehension strategies. Listed on this page are seven comprehension strategies that will help your child love reading. Having your child answer questions about books is a simple way to build their comprehension skills. It encourages them to think about what they are reading and helps you keep a check on whether a book is too difficult. There are 4 levels of questioning; level 1 which are more simple up to level 4 questioning which require children to use information from the text in conjunction with their own knowledge and ideas. Use Blank’s Questioning Techniques to guide you. Have a quick ‘picture walk’ of the book with your child. You child should get an idea of who the characters might be, the setting and some possible events from the story. What do you think this book will be about? Why? What characters might we meet? Stop at different points during the book and ask questions about the setting, the characters, the plot, etc. Not all questions are equal! Some require your child to have a more thorough understanding of the text and to use a deeper thinking process. Ask a range of questions. Use Blank’s Questioning Techniques for a guide. These will be similar to questions asked during the text, however they are generally more focused on the story line as a whole. Again, use Blank’s Questioning Techniques for a guide. Explore the structure of the text with your child. The beginning where characters are introduced; the middle where a problem occurs; the end where the problem is solved. Have your child retell the story. Ensure they include the main ideas/key events. The skill of self-questioning is one of the most important of the comprehension strategies. Competent readers ask themselves questions as they read and monitoring their understanding of the text. This is self-questioning. We can model this by asking ourselves questions out loud as we read. Why would she have done that?… I wonder what he will do now?…Where will they go now?… A fantastic resource to help teach your child learn this skill are Stop and Think Cards. Print them out and have your child place 3 or so cards throughout a book before they read. When they get to these cards, they must stop and (with your support if necessary the first few times) answers the questions before moving on. Another resource is the I Wonder Sheet which children can fill out after reading a book. On the worksheet, children write down questions that they asked themselves while they were reading. 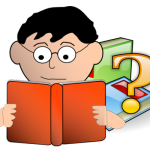 This question creator assists children in coming up with a range of questions to ask during/after reading. To make an inference is to ‘read between the lines’. Authors will often provide us with part of the information, and the rest is up to us to ‘infer’. We make these inferences by identifying clues and hints within texts and connecting them to information, knowledge and experiences we already have. Download our two-week inferring program here. “Can we buy this?” Paula asked as she held up a chocolate. We can infer that Paula is at the shops because she is asking to buy a chocolate bar. To whom is Paula talking? We can infer that Paula is probably talking to her mum or dad because she is asking someone to buy her something. The ability to make inferences is a skill that can be developed through practice. The following sets of questions will allow you to test your child’s ability to inference and practise the skill. Concept Map This concept map helps children to organise and identify the main idea of a text and the supporting facts. Main Idea Sheet Helps children summarise texts. Children find the main idea from specific pages and identify supporting facts, ideas and details. Looks, Sounds, Feels Like Y-Chart This organiser has three headings. 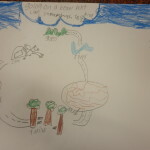 Children think about what the setting (specific scene or even character) looks like, sounds like and feels like, and write their ideas under the appropriate heading. This is designed to help children really ‘jump into’ the book. 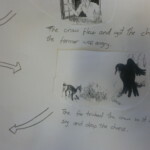 Story Sequence Template Helps children order the events of a story. Can be used for fiction or non-fiction (listing the steps in a procedure). 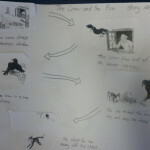 Story Map Overview A template to help visualise the structure of a text. Identify the type of text, setting, characters and key events. When reading, we make connections to things we already know, other books we’ve read, movies we’ve seen, experiences we’ve had and ideas we’ve got. These connections help us to understand texts and are particularly helpful in making inferences. Making connections is a comprehension strategy children need to be doing before and during reading. Text-to-Self connections Students connect events, ideas and characters in books to experiences they’ve had. Whether it’s having been on a roller coaster before, or having been bullied before. Text-to-Text connections These connections are where children think about other books they’ve read before. Have they read a book with a similar character before? Has this problem happened in a different book? Text-to-Word connections Children relate events or ideas from the book to their general knowledge. Here is a graphic organiser designed to help children make connections.Write down connections made to ‘A time in my life’, ‘Another book’ and ‘A person I know’. Find more resources to develop comprehension strategies here. Summarising is a comprehension strategy which involves the reader evaluating information and determining what is most important. Strong readers are able to gain a concise understanding from a large section of text. To practise, have your child retell the story. Retells can be verbal or written/drawn. It can be a good idea to stop every couple of pages when reading and retell what has happened. This will encourage your child to be thinking about what he or she is reading and help to connect different ideas and concepts. A number of story maps can be found in our Graphic Organisers page. Research shows that the ability to summarise texts not only shows a deeper understanding of texts, but also leads to increased retention of information. Readers need to be able to monitor their understanding of a text as they read. It is important that children can identify when the text has lost meaning for them. When this has been identified, competent readers are able to ‘fix’ this problem by using a combination of the previously mentioned comprehension strategies. How to Teach These Comprehension Strategies? Explain: Talk to your child about it and explain what it means, why it’s used and when it’s useful. Model: When reading to your child, use the strategy ‘out loud’. As a competent reader, use the strategy to model what it should look/sound like. Independent: Your child should then be able to use the comprehension strategies independently. Continue to monitor the use. Our Reading Task Cards are a great way of practising comprehension strategies and getting children to engage more deeply with texts. Give your child practice applying comprehension strategies with our comprehension worksheets. For further information on comprehension strategies, download ‘The Teaching of Reading’ e-book which is now available for download here.